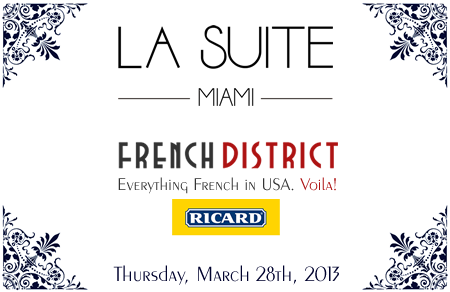 FrenchDistrict > Florida > News, Events > Ricard, an anise aperitif has invited itself to a special evening at La Suite. Why don’t you? 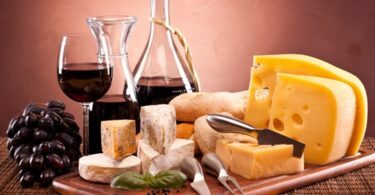 Find the ingredients to a real Provencial evening at the restaurant and lounge on South Beach on March 28th, 2013 starting at 6:00 pm: event Ricard- French District- La suite. La Suite, restaurant and lounge on South Beach, is luxurious and respectful of tradition, while shifting it with a hint of decadence. La Suite restaurant offers Italian recipes, as well as typically French dishes. 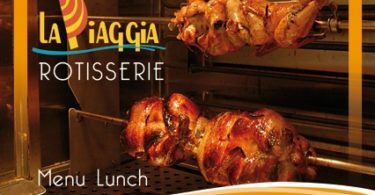 Stay to enjoy the exceptional menu called Discovery, offered at $40 per person. Thursday, March 28th, 2013 from 6 pm. Menu “Discovery” at $40 per person (taxes and gratuity not included).